This gives the houses not only a beautiful appearance, but also a special feel. 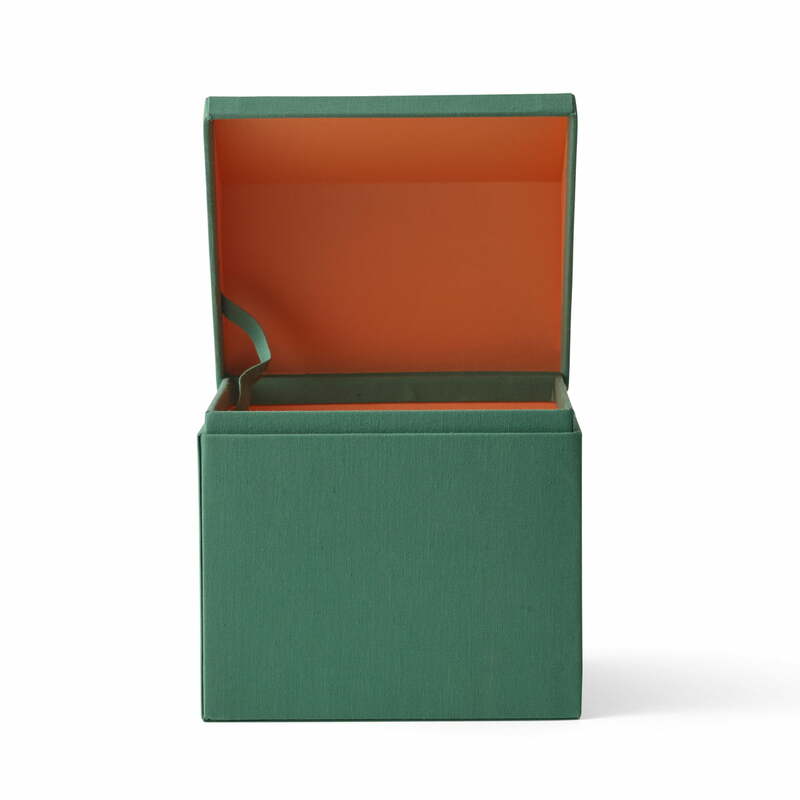 The modern houses in different sizes are suitable for storage of small items of various kinds: paper clips, jewellery or small souvenirs can be stowed away in style. The roof serves as a lid, that can be removed completely. 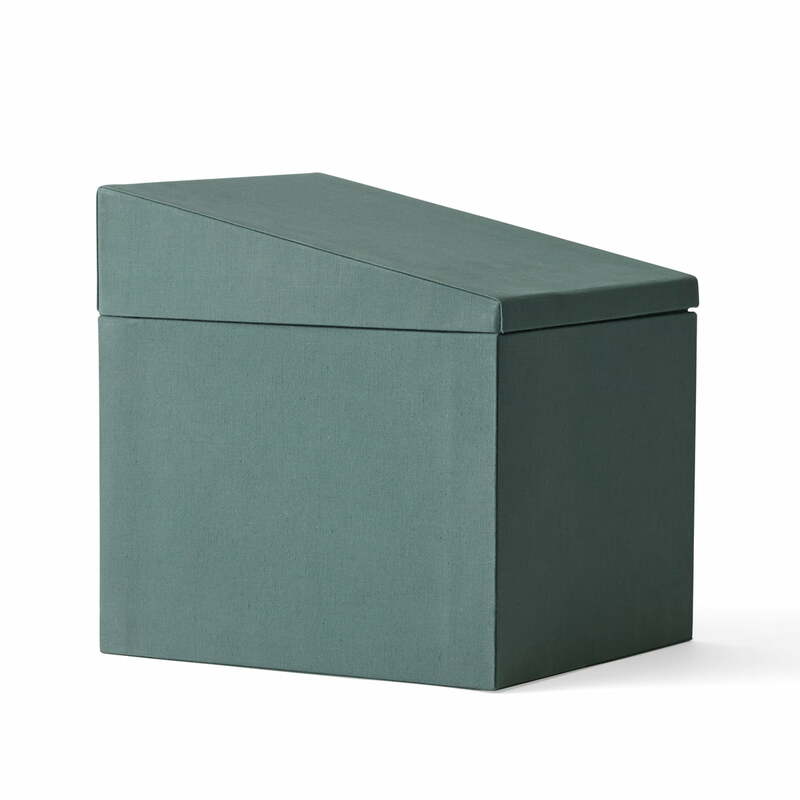 Functional and aesthetic aspects are equally served with this product that is not only a storage box, but also a decorative element for every living room. 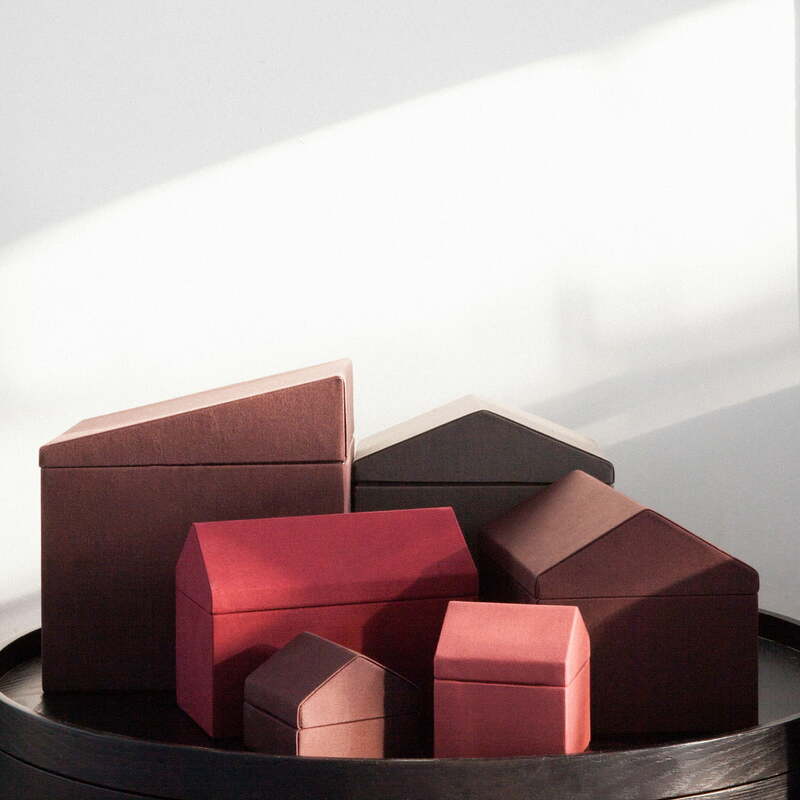 The minimalist design comes from the Note Design Studio, while the production of the houses takes place in Nepal in order to support local women and craftsmen. With regard to traditional production methods, the houses were designed to create a product that can be manufactured locally. The combination of Scandinavian design and traditional Nepalese handicraft makes the Modern Houses by Menu a special home accessory with a fair character. The hand-crafted houses from the Nepal Collection are available in two different versions with a traditional pitched roof or as modern Bauhaus variation in different colours. Individual image of the Modern Houses in green. Functionality and aesthetics are stylishly combined with this product. 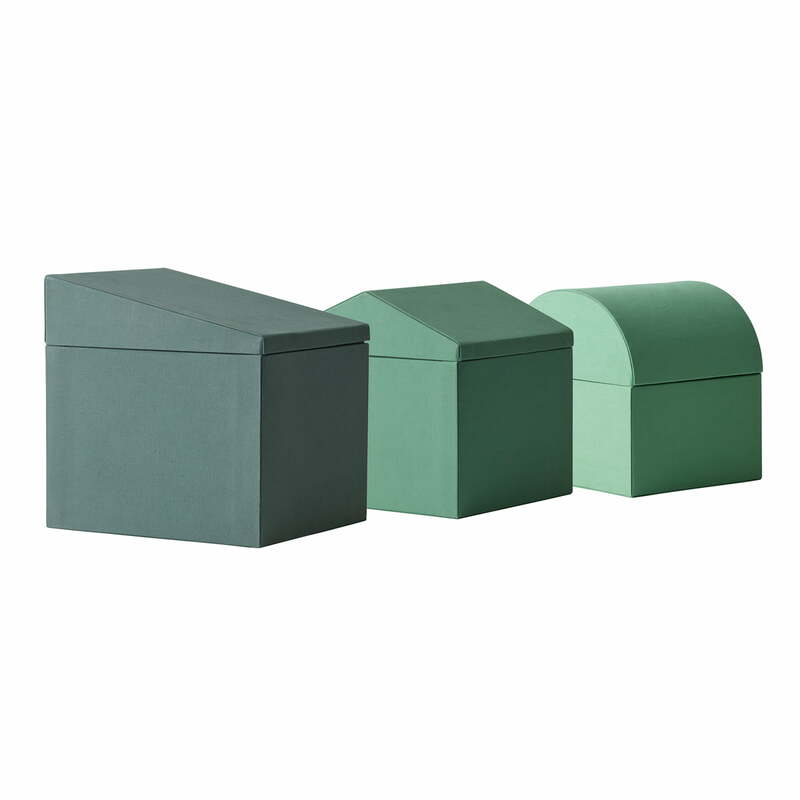 They don’t only serve as storage boxes, but also work as a beautiful home accessory. Individual image of the Modern Houses in grey. The Modern Houses are part of the Nepal projects and serve as a box for things like jewellery or office and bath accessories. The Modern Houses, size M in grey. 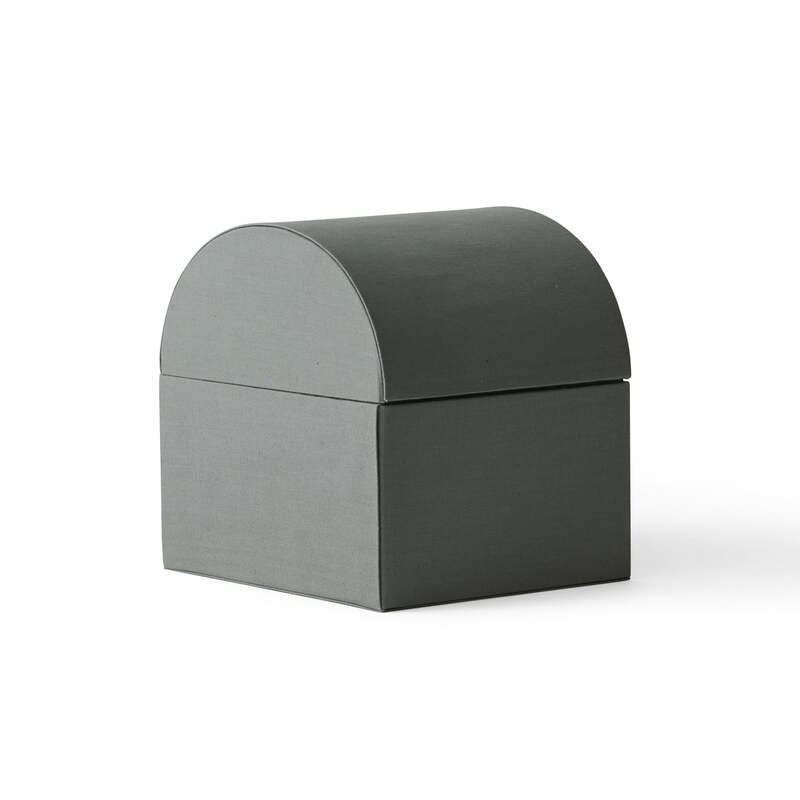 The medium size of the box is equipped with an arched roof. Like all the houses by Menu, it has a cover made of cotton. Individual image of the Modern Houses in size L. The traditional pitched roof is only one shape, besides the arched roof and the traditional roof from the set of 3 by Menu. 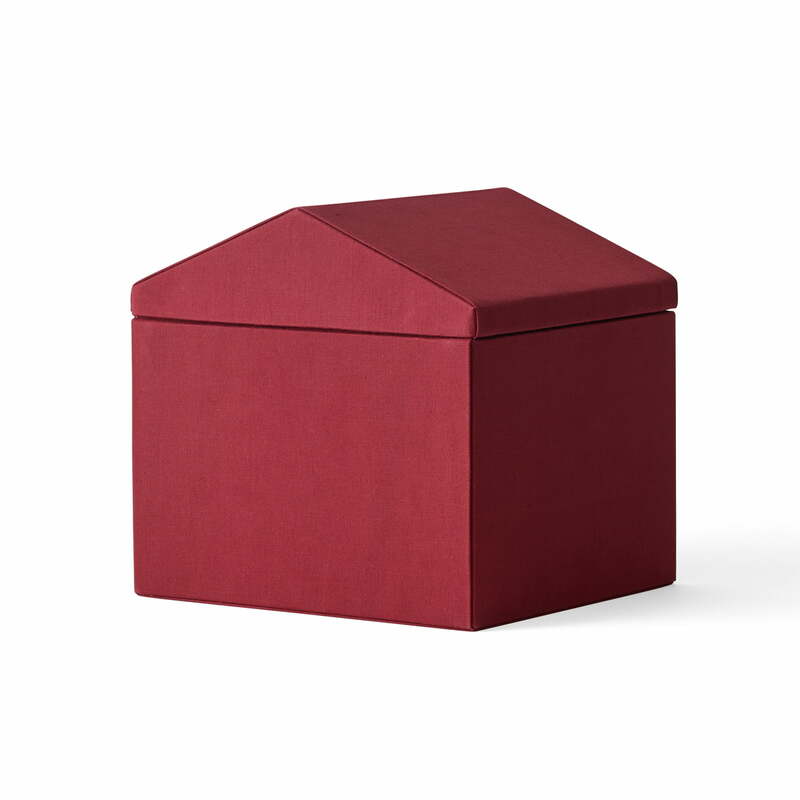 Individual image of the Modern Houses in size L. The pitched roof gives the box a minimalist shape and reveals the shape of a house only at a second glance.